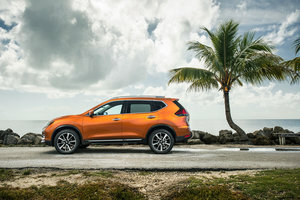 Curb appeal isn’t just important when selling a house, it’s also extremely relevant when designing and engineering a vehicle; and Nissan was very much aware of this fact when they penned the all-new Nissan Murano. There’s no denying the 2016 Murano features an absolutely incredible exterior design, but that’s not where the awesomeness ends. Look beneath the beautifully sculpted sheet metal and you’ll discover a highly capable and practical crossover that’s equal parts sophistication and fashion. Of course, the Murano’s first redeeming quality is its exterior design, as it’s also the first thing you notice; and that’s not at all a bad thing. 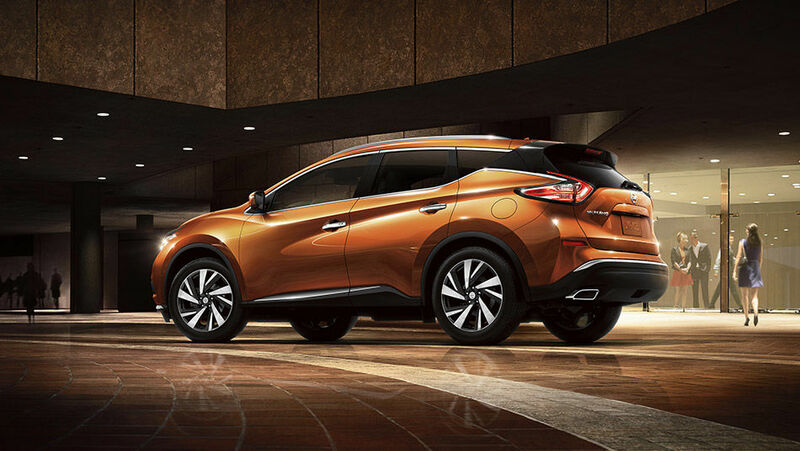 The 2016 Nissan Murano is elegant, yet muscular with flowing lines and distinctive stance on the road. With Nissan’s family-tree V-Motion front grille and a signature floating roofline, the 2016 Murano is unique in all the right ways, and is sure to keep you glancing back at your stylish CUV each time you park it and walk away. However, it’s not just the Murano’s exterior looks that makes it well worth considering. Regardless of which Murano you choose in the lineup, the same engine resides (carried over from the previous generation): a 3.5L V6 that produces 260 horsepower and 240 lb-ft of torque. 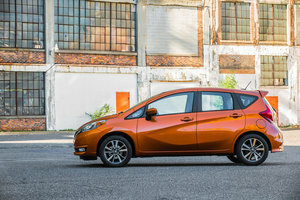 Said engine is coupled with Nissan’s well-known CVT in either FWD or AWD. Regardless of the drivetrain chosen, the Murano is a joy to drive and offers a dynamic feel behind the wheel, as well as all-weather capability and confidence. Inside the 2016 Nissan Murano you’ll find all the necessary modern amenities, including Nissan’s renowned Zero Gravity Seats, which are ridiculously comfortable. If you go for the top-tier Platinum version, you’ll be graced with heated and cooled seats up front and in the rear, as well as power-folding rear seats for easy entry and exit as well as cargo loading. 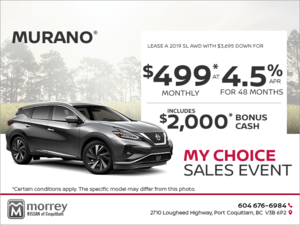 The Murano also offers up technological amenities such as an 8” touchscreen along with Bluetooth, voice recognition and satellite radio. Of course, safety is a major concern with Nissan, and the 2016 Murano is loaded with features to keep you and your passengers comfortable and safe. Rear Cross Traffic Alert, Blind Spot Warning, Around View Monitor (a surround-view camera system), as well as laser-guided adaptive cruise control ensure the 2016 Murano is one of the safest crossovers on the market today.